Voice Banking is a process individuals who are losing their voice “bank” words and phrases by recording them using a computer. For individuals who have lost their voice, relatives or friends with similar voice qualities can be used for voice banking. Individuals with ALS benefit greatly from voice banking, but it is important to begin as soon as possible because it is hard to determine how long the voice will remain strong and intelligible. In this lesson, you will learn what voice banking is: a process for recording words and phrases. In this lesson of the Voice Banking Module, you will learn how to use the Microsoft Sound Recorder. This lesson will guide you how to use Audacity, a free sound editing software. 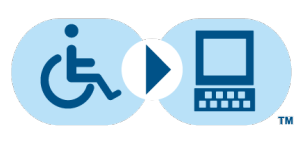 It is taught by Laura Parks, Assistive Technology Specialist for TASC. type a message using the intelligent word prediction, which learns their pattern of use, making prediction even faster. Use Nuance voices, record your own voice saying familiar phrases or use your voice banked ModelTalker voice. Verbally is an easy-to-use, comprehensive Augmentative and Alternative Communication (AAC) app for the iPad. Verbally brings speech to those without and enables real conversation with its simple, intuitive design. Just tap in what you want to say and Verbally speaks for you.